Chimney SmokeThe effect that pulls up the smoke, gases, and debris is called the draft. If the byproducts of the combustion do not exit the home, it could swell back into the room, making it dangerous. The causes of draft problems could range from construction problems and chimney physics issues such as negative pressure and stack effect. Draft problems are very common but also difficult to diagnose. Our chimney experts have the experience as we can fix any draft problem, offer smart solutions and will never suggest redundant repairs. Chimney CapsA chimney without a cap is not going to last without problems. Caps keep chimneys in working condition throughout the year preventing not just the destructive effects of rain but also debris or critter problems from damaging your chimney. Our lifetime warranty Stainless steel will protect your chimney and add visual appeal to your house, and the price will not burn your pockets. Chase CoversA chase covers is a metal cover that is placed over chimney chase to avoid water from entering the chimney. Chase cover problems happened because chances are the builder used the install the cheapest quality chase covers which allow water to be accumulated leading to rust formation, debris and nests and allowing a free way for smoke and gas. The stainless steel chase covers are the best way to protect your chimney. We provide cost-effective and long-lasting stainless steel chase covers. 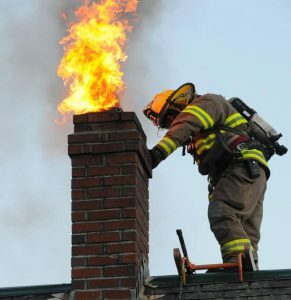 A chimney takes severe beating due to weather conditions throughout the year. Water entering into the chimney is the most common reason for deterioration and damage. Chimney waterproofing is a simple way to extend the lifespan of the chimney. Regular Sealers can trap the moisture, thus damaging the bricks. Instead, we use water repellent that does not trap the moisture and allows the surface to breathe, thus keeping the water at bay might not kill you, but lead to several health problems. A damper seals off the flue from the top, thereby not allowing heat and air loss. But, when the hearth is functional, the damper needs to be open. As a result, the air can easily get in and result in heat loss. We use Lock-top-damper system that eliminates downdrafts, seals water from entering and prevents entry of pests. We can repair or replace chimney dampers at the bottom of the chimney and top sealing. Notice a leaked ceiling around your chimney? Then you need to get your flashing checked. 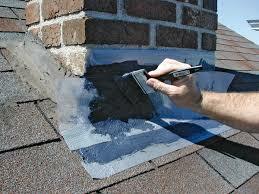 Chimney flashing is a metal plate situated where the chimney and roof meets. This metal plate prevents water from entering the house. Over a period of time, the metal plating, due to exposure to various elements, can get damaged, thus leading to mold formation, wall damage and rotting of wood. In case you notice water leaking from your chimney, we use ice and water shield onto the shingle underpayment and use step and counter flashing to seal the leakage. Damaged chimney crowns are one of the major common problems. If your chimney crown is cracked, not constructed properly, or bricks are falling apart — letting water penetrate —we’ll repair or rebuild a concrete crown. Our chimney crew will seal it with a flexible sealant as it will protect the interior of the chimney from water, rain and snow. The price depends on the size of the crown and degree of repair and rebuilding. A liner keeps the heat of the flue gases within the chimney so that the chimney does not overheat the combustible material, like the walls of the house. A secure lining system will ensure proper draft by not allowing the flue gases from expanding and cooling more than required. 2. Cracks or defects. Having a lining within your chimney assures the fire will remain in a tightly sealed tube – and additionally transfer less heat through the wall of the chimney to nearby framing and combustible material. 3. Some older chimneys were constructed free of liner of brick – and some newer chimneys have broken and deteriorated clay liners. Both of these pose safety risks.